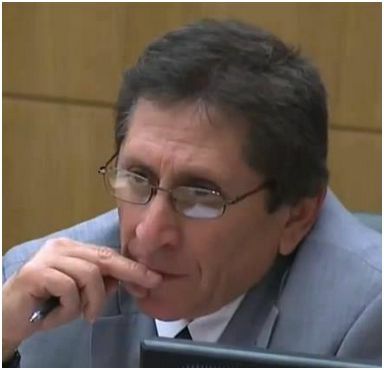 Juan Martinez will be the lead prosecutor in the Bryan Hulsey murder trial. PHOENIX (AP) — Jury selection began Monday for an Arizona man charged with fatally shooting a police officer seven years ago during a routine traffic stop in Phoenix. Bryan Wayne Hulsey, 40, is charged with killing Glendale Officer Anthony Holly, 24, during the February 2007 stop. Hulsey has pleaded not guilty to first-degree murder, attempted first-degree murder and misconduct involving a weapon. Prosecutors are seeking the death penalty. Attorneys are scheduled to make opening statements June 2. The shooting unfolded after a vehicle in which Hulsey was a passenger was pulled over in the Phoenix suburb of Glendale. Hulsey got out of the vehicle and started firing, authorities said. 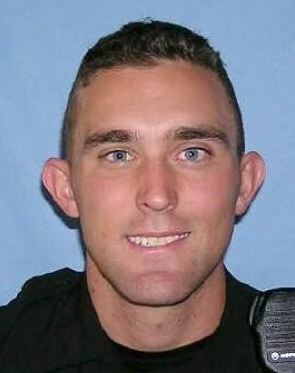 The other officer at the scene returned fire and struck Hulsey in one of his legs. Prosecutors say Hulsey killed Holly in the exchange of gunfire. Hulsey’s attorneys have questioned whether Holly was unintentionally shot by the other officer. Defense attorneys made the suggestion about the other officer based on the fact that the bullet that killed Holly wasn’t recovered during the autopsy, though tiny metal fragments remained in his body.